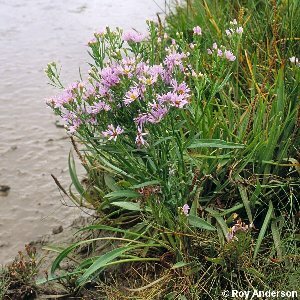 The only native wild aster, common on seashores in saltmarshes or rock crevices. 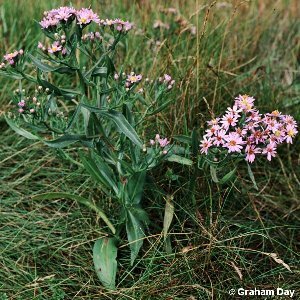 It normally produces a handsome lilac or pale blue daisy-like flower, but some plants are rayless and produce only disk florets. 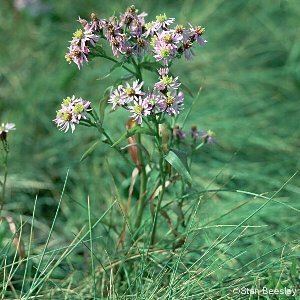 All names: Aster tripolium L.